Survivor: Worlds Apart (2015) - 18th place, 1st out. Voted out in Episode 1, "It's Survivor Warfare" (Day 3). Worlds Apart, Ep. 1: With Joaquin, received an idol clue from the "Deceive" choice, but did not find the actual idol. Worlds Apart, Ep. 1: Four votes, from Carolyn, Max, Shirin, and Tyler (voted out, 4-2). Gordon Holmes at XfinityTV.com (2/12/15): "So - 'The First Person I Noticed Was Max Dawson'"
Gordon Holmes at XfinityTV.com (2/26/15): "So - 'Max Is a Bit Sociopathic'"
Rob Cesternino at RHAP (2/26/15): "Exit Interview with the First Player Voted Off Worlds Apart"
Josh Wigler at Parade.com (2/26/15): "I Missed the Suit Memo!" "Personal Claim to Fame: Having the courage to re-invent myself. Last year, I turned 30, went through a divorce, moved across the country and changed jobs. It was simultaneously one of the best and worst years of my life and I’m a stronger person for it. What is your favorite sport? Surfing, swimming and eating. Pet Peeves: Indecisiveness, “princess” attitudes, narcissism, procrastination, losing and complacency. If You Could Have 3 Things on The Island What Would They Be and Why? 1. iPad with unlimited battery power – who doesn’t love a good dance party? Not to mention, I could record conversations as needed. 2. Sunglasses – my eyes give everything away. 3. Letters from loved ones – to remind me to have fun, dig deep and stay humble. 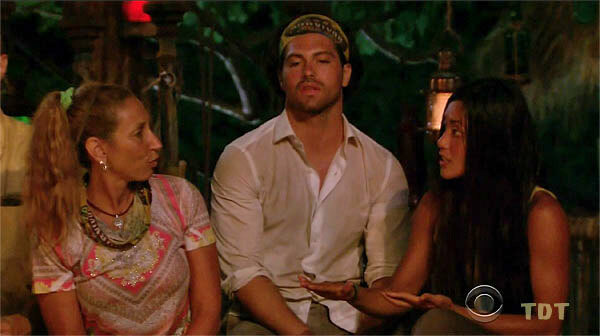 Survivor Contestant You Are Most Like: I am a combination of Ozzy (physically capable, agile, a bit self-righteous), Parvati (cute, flirty, coy) and Cochran (self-deprecating, paranoid and devious). 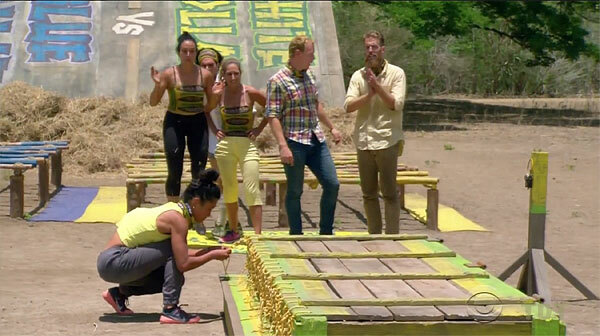 Reason for Being on Survivor: I want to win and become the legendary female sole Survivor who made big moves and didn’t play it “safe!” The million bucks doesn’t hurt. Why You’ll “Survive” Survivor: I would completely be in my element in the game of Survivor. I live for extreme experiences! Whether that is competing in challenges, surviving the outdoor elements, or strategically navigating alliances, I know I would be laughing and having a good time with the people around me. Why Will You Be the Sole Survivor: People who know me say I’m the strongest girl they know - physically, mentally and emotionally. Physically, I would kill it in challenges. Mentally, I am extremely analytical and approach things objectively. Emotionally, I know how to laugh at myself and make the best of any situation. And I would have no problem being manipulative in order to further myself!"